Reebok CrossFit Lifter for Women's Review: Are They Right For You? Reebok CrossFit Lifter for Women’s Review: Are They Right For You? 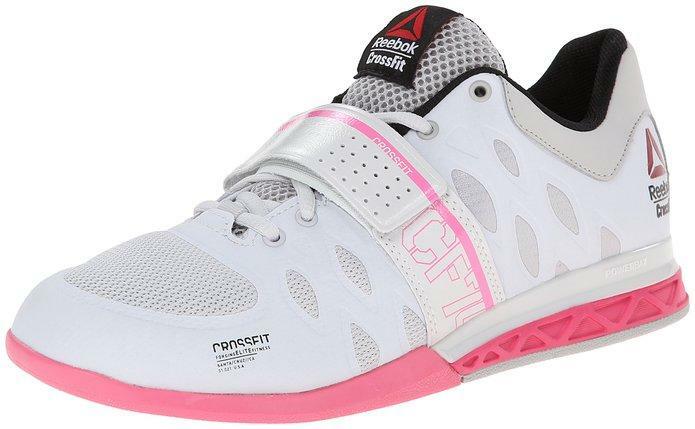 If you’re looking for a pair of top-quality shoes that are perfect for a CrossFit workout heavy on the lifting, then look no further than the Reebok CrossFit Lifters for Women. Read more to find out if these popular sneakers are right for you, and your workout style. Buying sports shoes can be tricky. Women love to shop and browse through different items. Want to know what to zero in on during your sports-shoe shopping? Are you in search of a pair of new trainers? 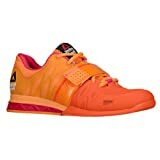 Well, if you are in for strenuous workouts along with a dash of fun, then the Reebok CrossFit Lifter Cross-Trainer Shoe – Women should be your choice. Why choose it above all the others? Keep reading for the review of this popular training shoe (Read Rebook CrossFit Lifter Review for Men here). Do they sound like the right shoe for you? Check them out over on Amazon. Reebok is one of the most trusted brands in athletic apparel and these shoes meet the high standard. Reebok CrossFit Lifter Cross-Trainer Shoe – Women’s is an excellent choice if you want a perfect cross-trainer shoe. Be it the look or the utility, it fares above the rest in this price range. It may be a bit heavier than the other shoes, but it’s not that heavy. The TPU injected in the heel wedge provides the lightest weight stability platform. The special U-form technology results in super comfort. The shoe is great for protecting the foot. All those women who suffers from sweating and odor, there is good news. This shoe has a full-grain leather toe which helps in air fusion in and out of the shoe that controls microbial growth and odor. The Polyurethane molded sock liner and the durable nylon mid-foot strap make the shoes all the more comfortable. You’ll also want to consider pairing up these shoes with a pair of top-quality socks. The shoe is good for all those cross-trainings, dance exercises, and for other workouts. The carbon rubber outsole makes it waterproof, and thus it is suitable for any kind of terrain. It provides enough stability that it can be used for most light-medium weightlifting workouts, such as you would perform in a CrossFit WOD. Running can be tough if the shoe you are wearing is not suitable. So if you want ease into running those extra miles or for any kind of emergency, then this shoe from Reebok probably isn’t your best choice. Their fabric and synthetic material make it light enough, but the heel height is too low and there isn’t enough cushioning. If you’re looking for the best women’s shoes for Cross Fit, then these ones from Reebok make a nice choice. However, they’re ideal for workouts focused on lifting more than anything else. 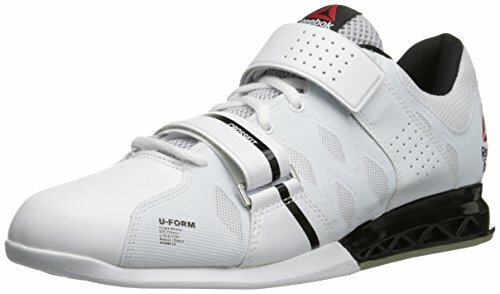 The fabric and synthetic material along with the perforated leather toes make the Reebok CrossFit Lifter Cross-Trainer Shoe – Women’s the best shoe in this category. In short, it’s a very solid athletic shoe at a very good price! We give it a solid 2-thumbs up here on Best CrossFit Shoes! It’s obvious that Reebok has put a ton of thoughts into these shoes. For example, the double-strap system and heel clip provides a ton of stability, even when lifting some serious weight. Considering that they’re lightweight, they have some impressive support. The leather on the toe box adds some additional durability and strength. The flexed groove outsole grips the ground. The last thing you’ll want to worry about is what’s on your feet when going for a personal best, and the Reebok CrossFit Lifters will help you do that. If you take a look on Amazon, you’ll notice that there are a ton of 4-5 star reviews. People that try them out are very happy with them. However, please keep in mind that these are more of a weightlifting shoe than anything else, so you’ll want to use them for that, as opposed to running or crosstraining. They just aren’t flexible enough in the midfoot to be comfortable for this. Or, take a look around your box during your next workout. You’ll likely see these on the feet of at least a couple people! What are your thoughts about the Women’s Reebok CrossFit lifter? Leave a comment below and let us know your thoughts.